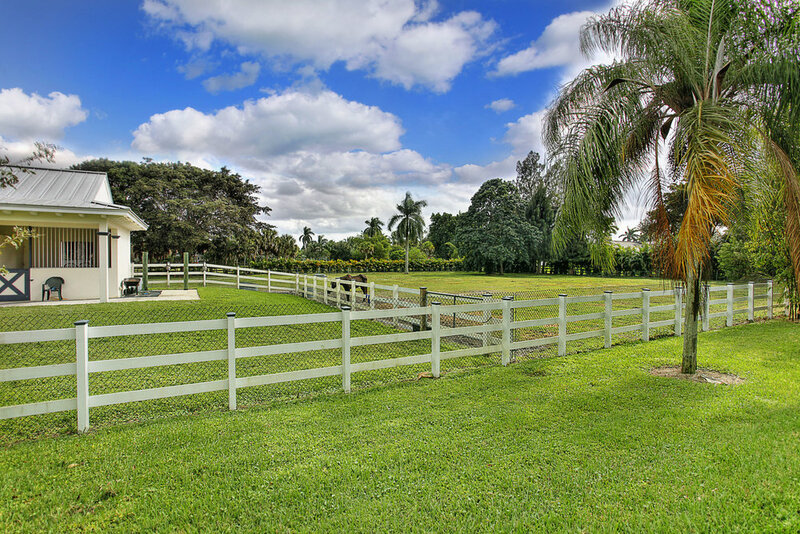 Lazy B Ranch: A sprawling estate located in the eastern corner of Davie with close proximity to Ft. Lauderdale, yet it is also a 5-acre working ranch that offers complete seclusion and privacy. 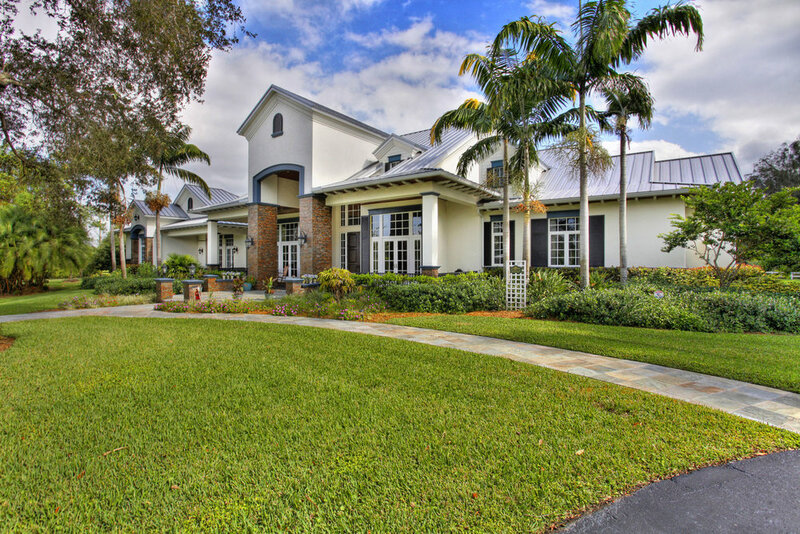 This ultimate 5-bedroom, 4.5-bathroom home and gathering place was custom-designed by Colestock and Muir and built by Peter Dusinberre. No detail or expense was spared in the four-year construction of the structure. 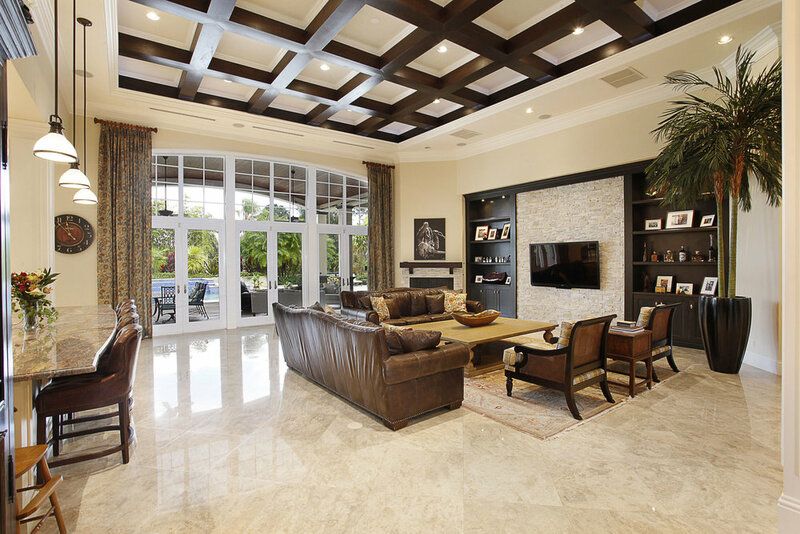 A huge, open kitchen, complete with custom sub-Zero refrigerator/freezer, adjacent walk-in refrigerator and butler’s pantry, connects to the even larger family room with soaring ceilings. 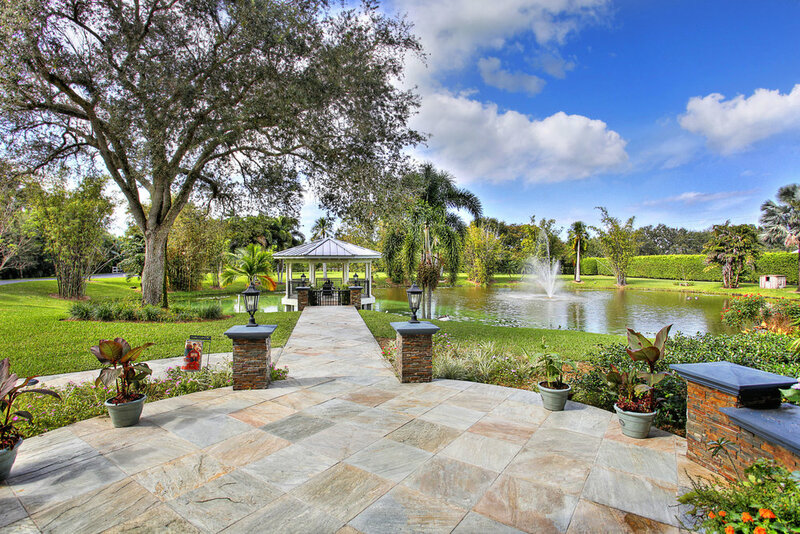 Selected construction details include metal roofing, impact resistant glass, icynene insulation, concrete stem wall construction, and two 1000-gallon propane tanks, 3 gas fireplaces (including one in the master bedroom), and a generator that can run the entire property seamlessly.